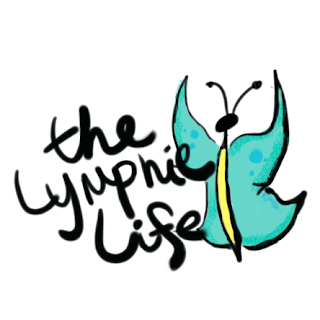 Home / lymphedema / Personal / Seriously... Lymphedema too!!! After my summer family vacation where I probably partook in too much sun & fun I began to feel like my armpit was swelling more than normal. I mean I was constantly having to adjust my sports bra because of swelling. I wanted to ignore it because I did not notice any swelling in my arm, but eventually the other side effects became to bothersome. The numbness and tingling sensation in my hand continued. Besides weakness in my right arm I found an inability to reach properly. I mean holding the cell phone to my head became challenging. It was annoying! So even though I tried to avoid calling the doctor, I finally had too. Of course the oncologist was like, Lymphedema. I figured that, but I was really hoping not to deal with another issue. I mean really - another issue. Come on!!! Find out more about Lymphedema - Click Here. Today was my scheduled appointment with a therapist to help manage swelling and side effects caused by Lymphedema. Since it was a late appointment I had enough time to fit in a fun afternoon with my daughter. It's summer and I am busy - I have fun to do. Darn arm... you won't stop me. 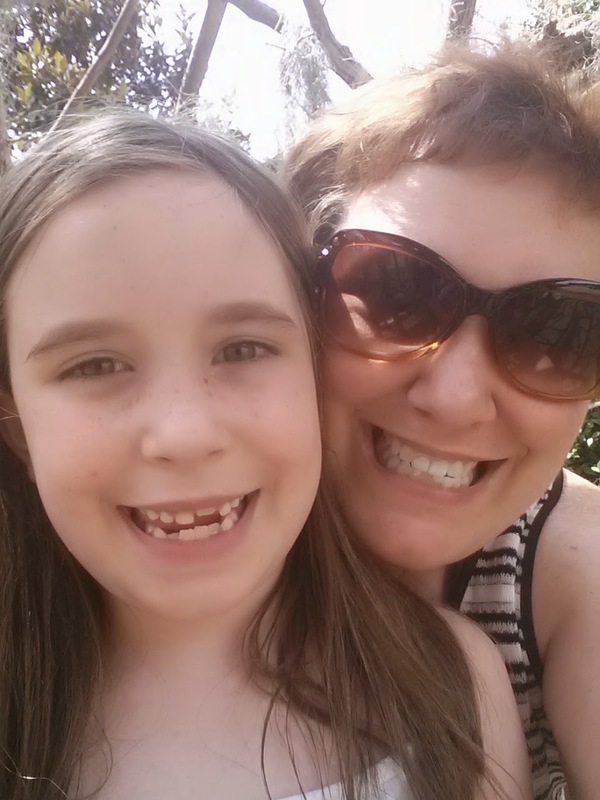 We went to the local botanical gardens, which hosted an Alice in Wonderland theme. 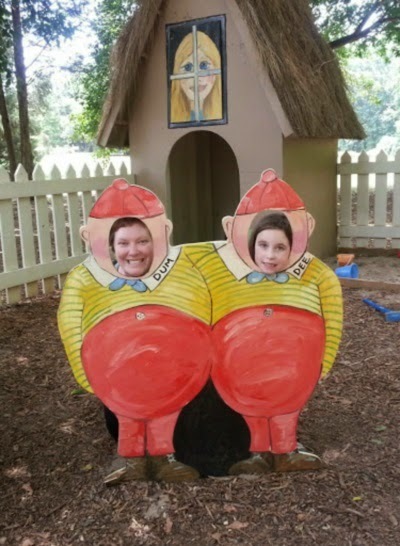 We made our way through a rabbit hole, door maze, and even got to be Tweedledee & Tweedledum... guess which one I was going to be!!! Afterwards I made my way to the therapy office and began recalling my memories of physical therapy from my childhood. When I was younger I had multiple knee surgeries which required physical therapy. Yuck! I imagine pulling and exercises and painful hard work. I have horrible memories of it. I was young. It hurt. I really was not looking forward to the appointment. Yuck! As I sat there thinking "Yuck!" I actually read the sign on the door. What a d'oh moment... Apparently that physical therapy appointment I had was actually for occupational therapy. I have so many medical appointments I don't even know what they are for any more!!! On the positive, it was not physical therapy. Plus, I showed up at the right place at the right time (not always the case, just ask the dentist or the imaging center or the... well you get it). 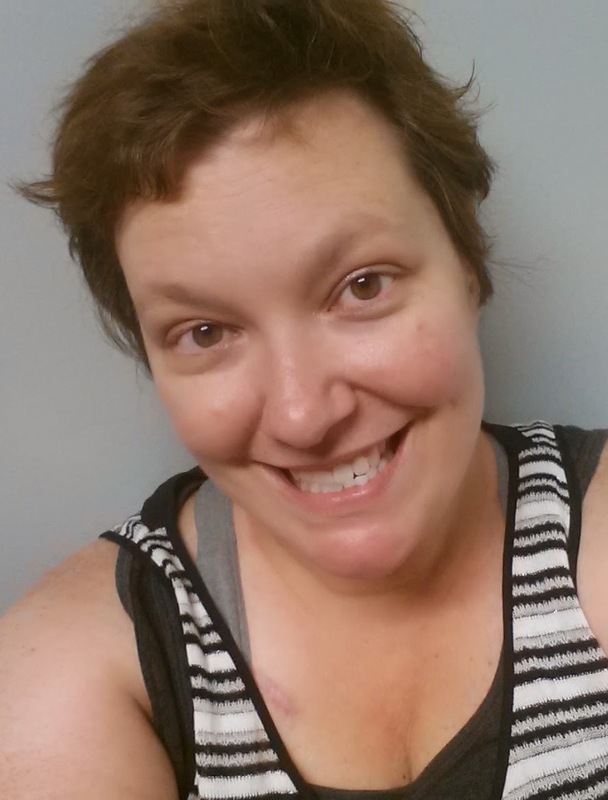 The appointment consisted of discussing all my symptoms which were common signs of Lymphedema. Then I laid down and she marked spots all up my hand and arm with a marker. Then she measured around the marks on both my right and left arms. Those measurements would help determine the amount of swelling I had. While I thought my arms looked the same size she said that swelling was not always noticeable with the eye. Basically, that unless I had tiny arms I may not be able to tell. And unfortunately, I do not have tiny arms!!! So, I spent an hour getting my arm measured and having a fun conversation. The therapist was hysterical and we really hit it off. I think I am in for some interesting conversations during my treatments!!! I have to laugh... I mean I barely had any lymph nodes removed and I got Lymphedema. I guess I should be thrilled that more were not taken, as it could be worse. It is kind of funny, come on, if you think about it... it's funny! Once again, I am thankful for my twisted sense of humor!!! Next week I actually start OT. Who knows what that will be like?!?! From what I gathered it will be nothing like PT and for that I am extremely grateful. I get to undergo something new... It seems my cancer journey keeps giving me new experiences. “Experience is what you get when you didn't get what you wanted.